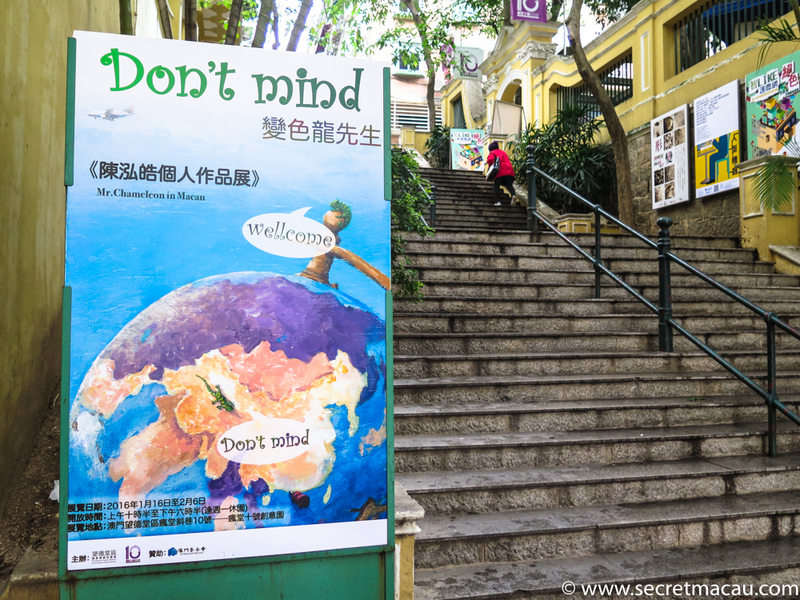 Albergue SCM is a small area, tucked away a side street from Tap Seac square, devoted to Macau’s art and cultural industries. It is based around a small courtyard, with traditional Portuguese paving and two old camphor trees in the centre. 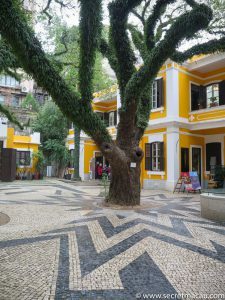 Around the edges are Portuguese style buildings, yellow in colour and over two hundred years old. They are devoted to the arts, and host galleries and local contemporary artistic and creative exhibitions. There is also a great shop, selling all manner of Portuguese items – including food, drinks and craftwork. It used to be a refuge for the elderly (formerly known as ‘Old Ladies House’), and during World War II it housed many of the poor and refugees (when it was known as ‘Shelter of the Poor’). It’s a lovely, tranquil setting to get away from the hustle and bustle down towards Tap Seac square. If you like art and crafts then it’s worth combining this with a visit to nearby Tap Seac square and the Tap Seac gallery. 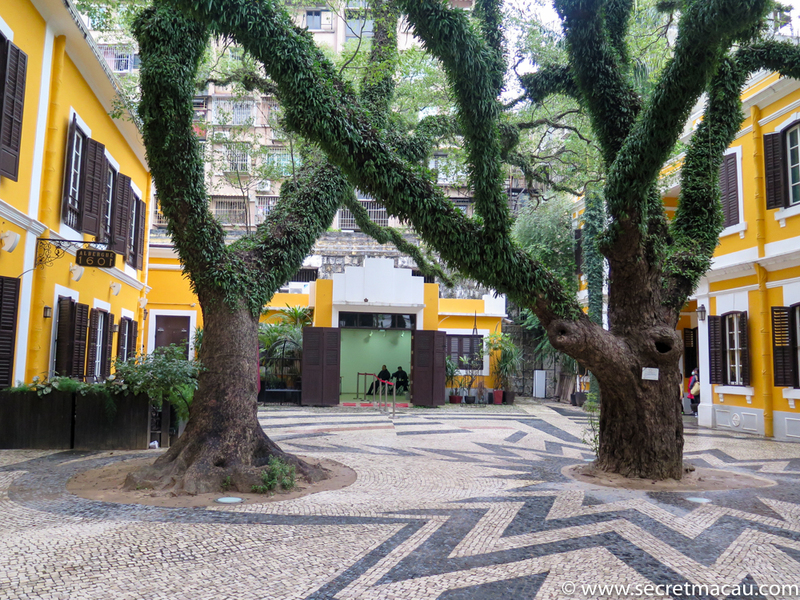 The walk up is tree lined, and there are traditional Portuguese restaurants in the side streets near the square. 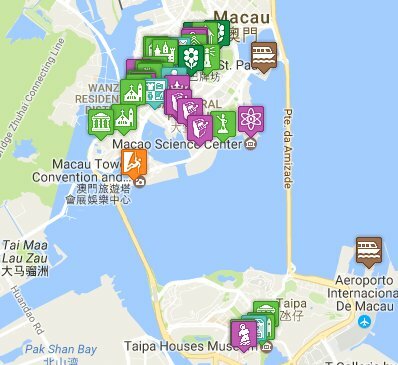 It is easily accessible from either Tap Seac square or Monte Forte. 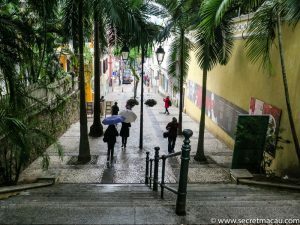 I’ve normally walked from Tap Seac Square – if you follow the Avenida do Conselheiro Ferreira de Almeida out of the square (as if you were walking to the Grand Lisboa), then turn right at the box junction crossroads, leading off to the Calcada da Igreja de S. Lazaro – this will take you straight up here (it’s obvious from the crossroads – this is a street of lovely paving and old Portuguese style buildings).